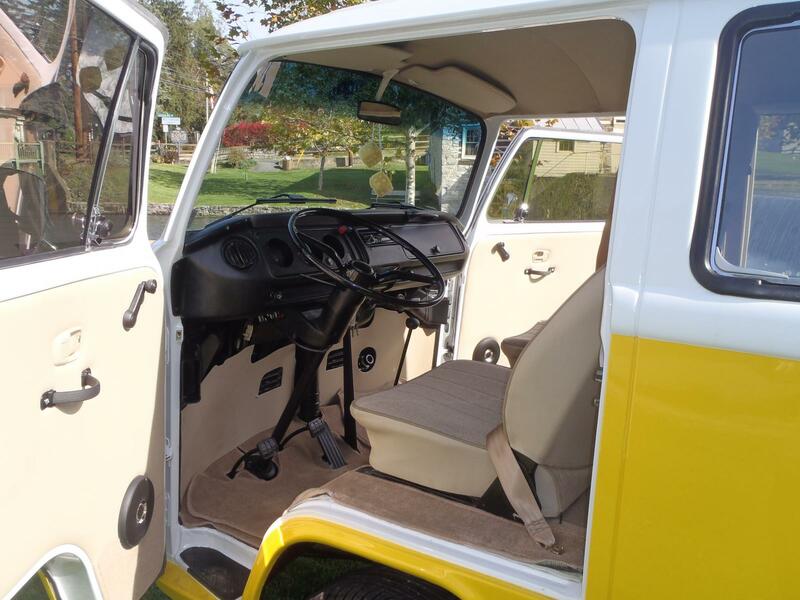 This 1977 VW Type II Bus received a frame off restoration from Carlisle Customs & Classics, a restoration and custom shop with expertise in building custom and classic VW Buses, Beetles, Ghias and more. This bus, lovingly referred to as "Daisy," received a frame-off restoration, custom interior, engine overhaul, and custom air-brush work during its 2011 restoration. This bus is an enjoyable driver, which the owner drives to work in the springs and summers, and has been awarded at several shows for its innovative interior modifications and superb paint job. Here at CCC we specialize in frame-off and frame-on restorations and creating wild customs with major metal fabrications, smooth body work, and gleaming paint; Carlisle Customs & Classics has built a reputation for producing high quality, sophisticated, and innovative vehicles for our national customer base. Volkswagens built by CCC have received many compliments and many awards from local and national car shows. However, the best recommendation for our work comes from our loyal base of VW customers who show their cars to fellow VW lovers, who then decide to come to us to make the VW of their dreams into reality.